Zooey Deschanel is an American actress who got public recognition for the movies All the Real Girls, Yes Man, and 500 Days of Summer. The lead role in the series New Girl made the actress successful. Zooey Claire Deschanel was born in January 1989 into the family engaged in cinematography. The father, Caleb Deschanel, was nominated for the Academy Award; he worked as a cameraman and director. The mother, Mary Weir, appeared in the masterpiece series Twin Peaks. The actress has French, English, Irish, and Swiss roots. The girl was brought up according to the Catholic traditions. Zooey’s elder sister, Emily Deschanel, starred in the popular series Bones. Zooey Deschanel was destined to become a celebrity. She was named after the character of Jerome Salinger’s novella. The family’s house was in Los Angeles, but the Deschanels were frequently traveling because of the father’s work. Zooey hated that: the girl had to leave her friends and favorite places for a long time. When Zooey went to a preparatory school in Santa Monica, she met the future stars and colleagues Jake Gyllenhaal and Kate Hudson. At school, the young woman was fond of singing and dreamed of a musical theater career. As soon as Deschanel graduated from school, she entered a university but quitted in less than a year: she could not combine shooting in movies and studying. Zooey started her movie biography with an episode in the 1998 series Veronica's Closet. Soon, the beginning actress was offered a role in the full-time comedy Mumford. In 2000, Zooey got a role in the music drama Almost Famous. The young woman dreamed of such a mix of acting and singing. Deschanel played the main character’s sister. Critics appreciated the movie and Zooey’s work, although the box office was not as good as expected. In the early 2000s, Zooey Deschanel appeared in several other movies, but the roles were secondary and brought no fame. The actress realized she needed a star appearance for the acting breakthrough – and she gained it in 2003. In the drama All the Real Girls, Zooey played 18-year-old Noel; she rejected several offers for it. Indeed, the movie brought the actress her first glory and the prestigious prize, the Independent Spirit Awards. The next project, the comedy Elf, followed soon. It was highly popular among the audience and proved to be a commercial success. From 2004, the artist began to appear in high-ranking movies regularly: Eulogy, Winter Passing, Failure to Launch, and Live Free or Die. In all these movies, Zooey Deschanel got the lead roles. In the late 2000s, the thriller The Happening and the comedy Yes Man with Jim Carrey became the most brilliant projects of the artist. 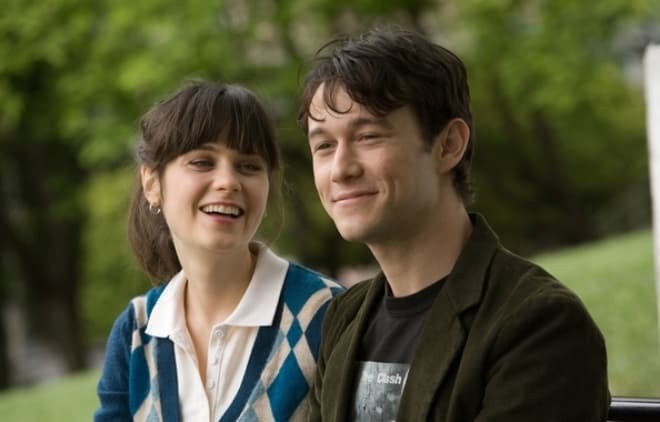 In Marc Webb’s comedy melodrama 500 Days of Summer, the actress played a careless young woman Summer who was in love with Tom (Joseph Gordon-Levitt). As the story runs, each character’s views on love transform: Summer begins to see feelings more seriously, and Tom is disappointed in relationships. Zooey was nominated for the Golden Globe Award for this work. Further on, the Hollywood star appeared in the comedy Your Highness and the youth series New Girl. The role in the latter project often brought Zooey nominations and TV awards. The actress’s fans mark her resemblance to the American singer Katy Perry: they look as like as two peas, and even their shapes and sizes are similar. Zooey’s height is 168 cm., and her weight is 56 kg. Deschanel voiced many animated projects and children’s movies: American Dad!, Surf's Up, and The Simpsons. Zooey Deschanel has never forgotten music. Fans love the actress for her excellent vocal. The songs performed by Zooey Deschanel became soundtracks to The New Guy, Bridge to Terabithia, Elf, Yes Man, 500 Days of Summer, and so on. 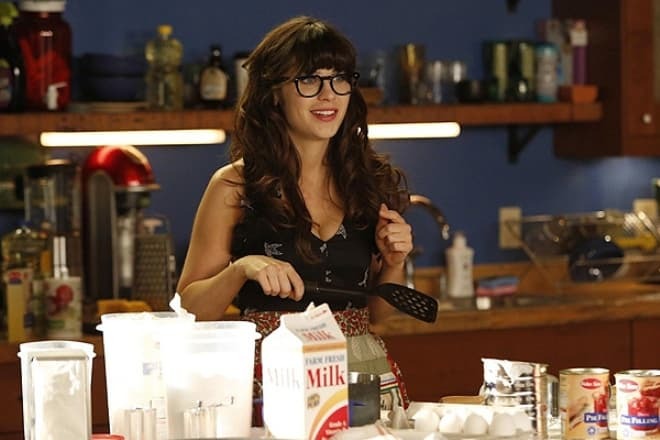 Besides, the actress created and performed the soundtrack for the series New Girl where she played the main character. Since 2001, Zooey Deschanel has been developing her career as a singer. Together with her colleague Samantha Shelton, Deschanel organized a jazz cabaret duo If All the Stars Were Pretty Babies. 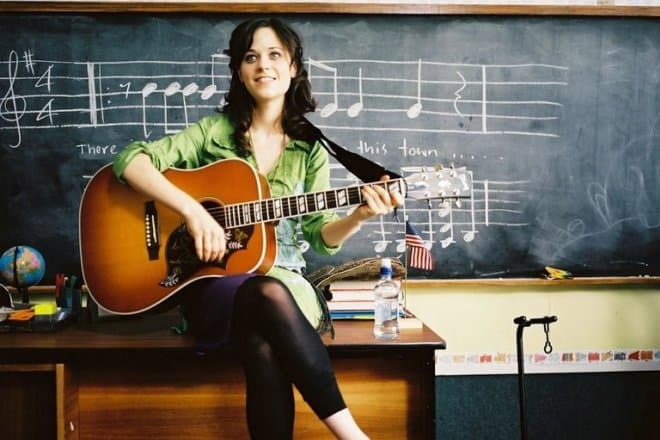 Zooey not only sang but also learned how to play the keys, ukulele, and banjo. In 2006, the woman founded the folk duo She & Him with Matt Ward. The ensemble released several albums: Volume One, Volume Two, A Very She & Him Christmas, and Volume 3. The Hollywood star has been married twice. Ben Gibbard, the vocalist of the American group Death Cab for Cutie, used to be her husband. The wedding ceremony took place in fall 2009. However, two years later, Zooey and Ben split up. Zooey explained that in unclear terms: they had some fundamental disagreement. Three years after the break-up with the musician, the actress’s personal life improved. In 2015, she married a producer Jacob Pechenik whom she had been dating since 2014 when they worked on the movie Rock the Kasbah. Initially, the couple kept secret their relationship. In July 2015, their daughter Elsie Otter was born. In 2017, it was impossible to hide a new pregnancy. In May, the boy Charlie Wolf was born. 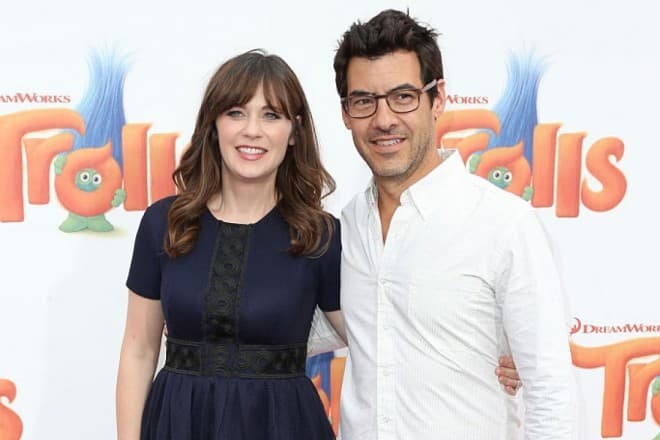 Reporters guesstimated the woman would hide her son from paparazzi, but Zooey and her four-month-old son appeared at Baby2Baby charity event. The woman tries to spend time with her kids as much as possible, but sometimes a nanny helps her. Because of her pregnancy and childbirth, the actress reduced the number of TV and movie projects. In 2016, she participated in voicing the animated musical Trolls created by Kung Fu Panda and Monsters vs. Aliens scriptwriters. Anna Kendrick and Justin Timberlake also worked on the musical. In 2017, the actress worked on the final season of the series New Girl where she had been playing the main character, Jess, since 2011. The channel Fox broadcast the series in the second half of January 2018. The actress announced that event on her Instagram page and presented the series poster.